1. There is no doubt that all kinds of commercial insurance are ribaa i.e. interest or usury. 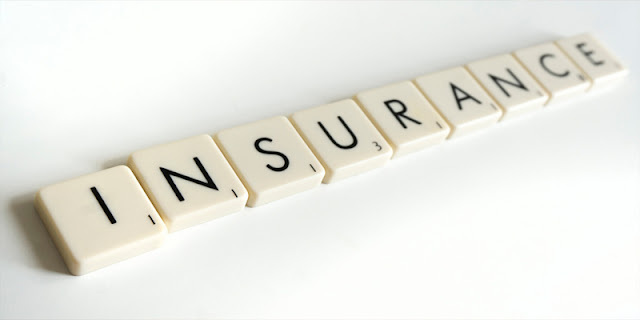 Insurance is the sale of money for money, of a greater or lesser amount, with a delay in one of the payments. This involves riba al-fadl i.e. interest based transaction and riba al-nas i.e. interest is to be paid if the delay is in payment of money. An insurance company takes peoples money and promise to pay more or less in case of an accident or whichever is the case for which the insurance is taken. All this is riba and riba is strictly forbidden in Quran. 2. All kinds of commercial insurance is based on Gambling which is haraam according to Quran and Hadith. “O you who believe! Intoxicants (all kinds of alcoholic drinks), and gambling, and Al-Ansaab (stone altars for sacrifice to idols etc.) and Al-Azlaam (arrows for seeking luck or decision) are an abomination of Shaytaan’s (Satan’s) handiwork. So avoid (strictly all) that (abomination) in order that you may be successful” (al-Maa’idah 5:90 ). All kinds of insurance are kinds of playing with chances. It depends on certain conditions. If the conditions are met then only you can avail the money. The tell the people that if this and that happen to them then they will be given certain amount of money. This is purely gambling. Insisting on differentiating between insurance and gambling is pure stubbornness that is unacceptable to any sound mind. The insurance companies themselves admit that insurance is gambling. 3. It is a form of uncertainity and any transaction that involve uncertainity are forbidden in Islam according to many evidences. “The Messenger of Allaah (peace and blessings of Allaah be upon him) forbade transactions determined by throwing a stone and transactions which involved some uncertainty.” (Narrated by Muslim). In pre-islamic arabia people used to do transactions based on throwing of stones whereby a stone was thrown either by buyer or seller and whatever it touched would be the cost of the item and the transaction became binding. This transaction indeed involved uncertainity and in such a transaction there was no guarantee that the seller can deliver goods for which he receives payment. All the forms of commercial insurance are based on uncertainity and of very extreme kind. Insurance companies refuse to insure cases where there is pure uncertainity in whether or not the condition being insured against will happen or not such as a person who is on death row applying for life insurance wont be given insurance. Moreover, this transaction involves something uncertain, which is when an accident will happen and the extent of the damage caused. Hence insurance combines three kinds of extreme uncertainty. 4. Insurance involves consuming peoples wealth unjustly which is haram. “O you who believe! Eat not up your property among yourselves unjustly” (al-Nisaa’ 4:29 – interpretation of the meaning). All forms of commercial insurance are fraudulent transactions aimed at consuming people’s wealth unjustly. The precise statistics calculated by one of the German experts state that what people get back of what has been taken from them is no more than 2.9%. Insurance is an immense loss for the nation, and there is no evidence or excuse to be found in the actions of the kuffaar who have lost the ties of kinship and friendship and are therefore forced to resort to insurance, which they hate as much as they hate death.. It is a shame that some people are deceived by the ways in which the insurance companies make insurance attractive and confuse them by calling it “co-operative” or “mutual support” or “Islamic”, or other names which do not change the unjust nature of insurance in the slightest. May Allaah help me and you to have insight into matters of religion and to do that which is pleasing to the Lord of the Worlds.